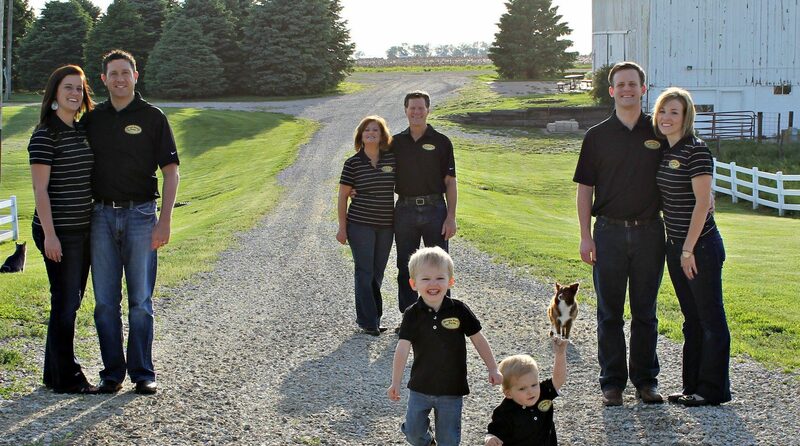 The family-run farm has produced locally-fed and processed beef for over 100 years. The manure from the farm is captured and used to generate electricity fior the farm and the surplus is sold to the local power company. 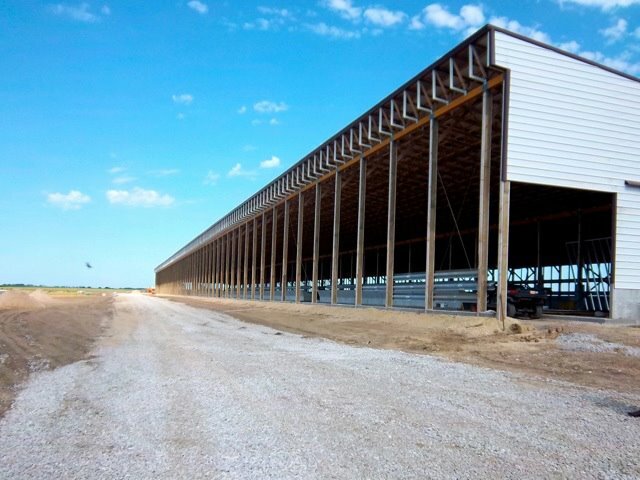 The facility is located on Sievers Family Farms in Scott County, Iowa near New Liberty, approx. 20 miles west of Davenport, Iowa. 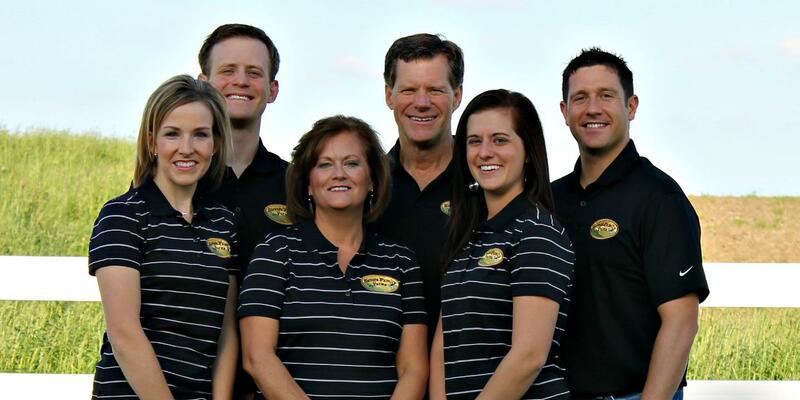 The family-run farm has produced locally fed and processed beef for over 100 years. 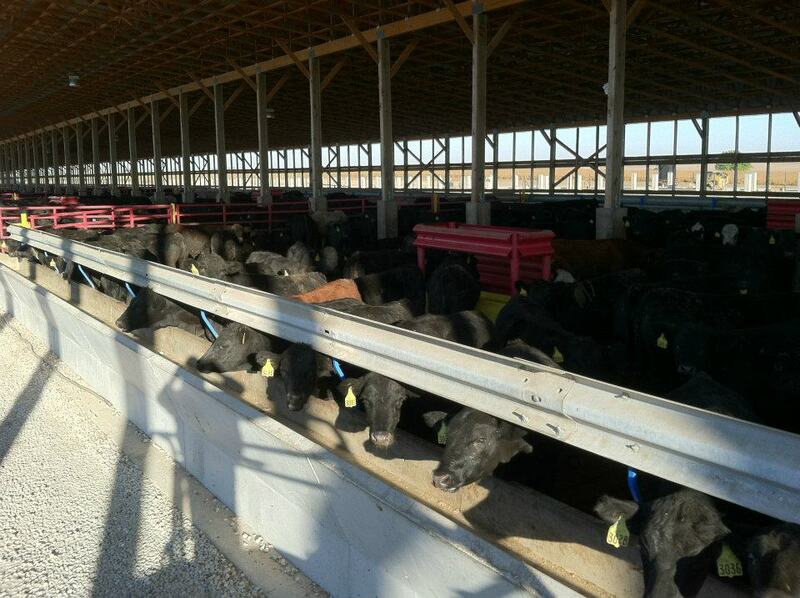 Sievers Family Farms owns the largest custom cattle feeding operation in Scott County. 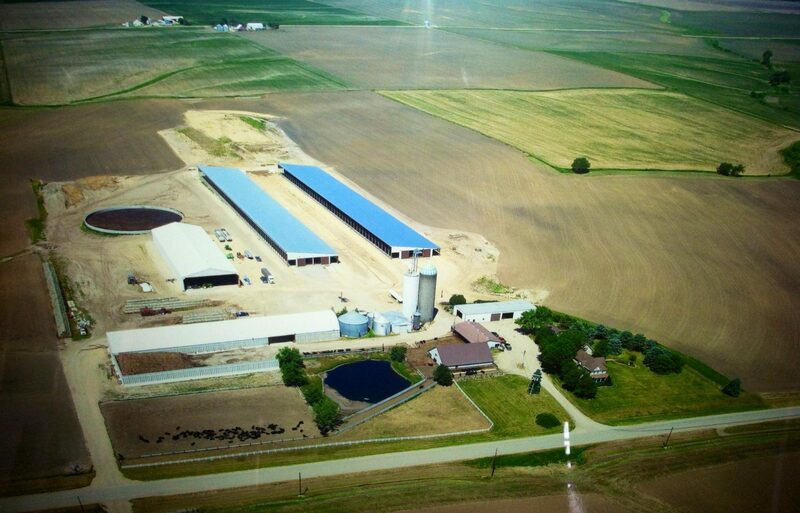 Using state of the art feedlot facilities, Sievers Family Farms has partnered with Glenora Feed Yard, and currently houses approximately 2,444 head of cattle. 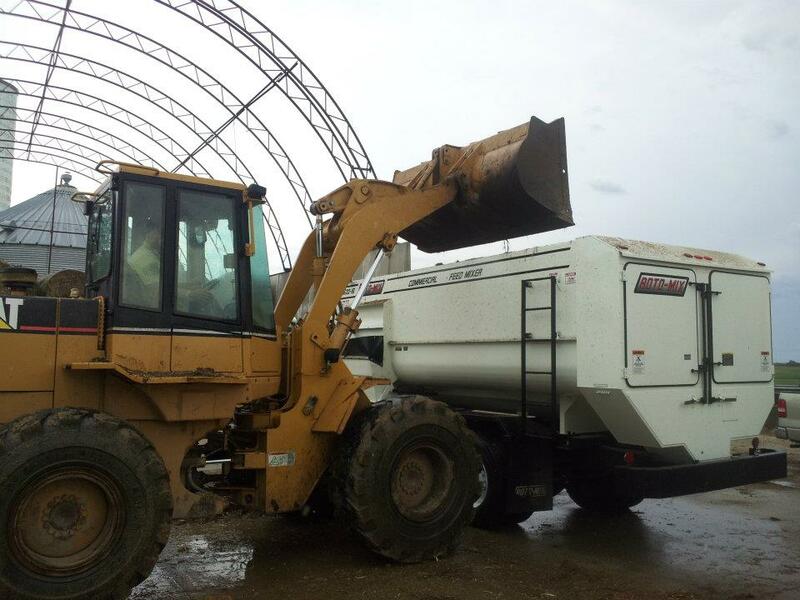 The manure from the farm is captured and transferred to two 950,000 gallon complete-mix anaerobic digesters where the methane is collected and used to run a 1 MW Caterpillar CHP generator to produce electricity. 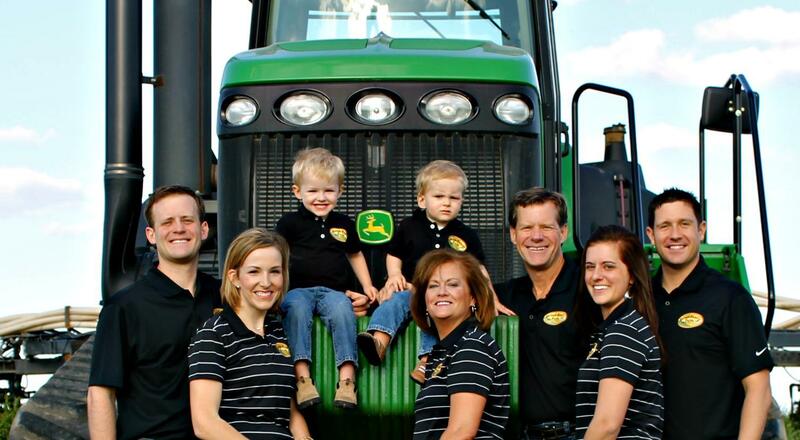 Voluntary REC sales was a key factor that helped Sievers Family Farms secure the necessary financing to develop the project. The project provides electricity to the farm, protecting it from power outages and any increase in energy prices by the local utility. In addition to supplying the needs of the farm, the additional electricity generated is sold to the local power company and will be enough energy for approximately 1000 homes annually. Along with trapping methane, the digester separates the nitrogen, phosphorous, and potassium, allowing Sievers Family Farms to use those nutrients to fertilize the crops that feed their livestock. 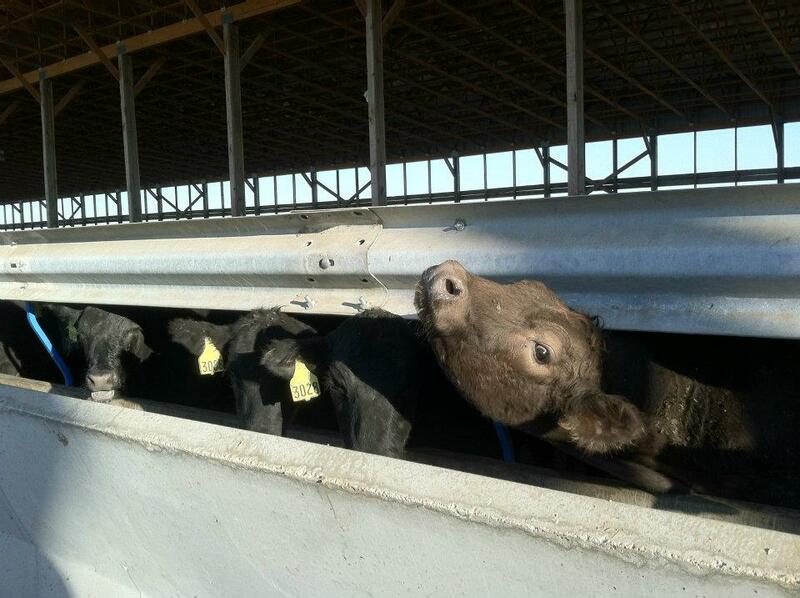 The manure digestion virtually eliminates odor and pathogens associated with livestock manure. While ongoing operation of the project creates one full-time job, the overall increase in profitability of the feedlot helps support three additional full-time farm workers. Bryan Sievers’ great grandfather, John Sievers, was born in 1853 near the town of Bergenhusen in Schleswig-Holstein, Germany. He immigrated to the United States in 1873 and settled in Liberty township in Scott County, Iowa near the small village of Round Grove. Bryan’s great grandmother, Anna Bornholdt, was born in Clinton County in 1858. Anna’s parents, John and Maria Bornholdt, immigrated to and settled in northwest Scott County in 1851. John Sievers and Anna Bornholdt were married in 1879 and lived in a house that had previously been used as a hotel and stage coach stop along the stage coach route that ran between Davenport and Tipton, Iowa. This is where Bryan’s grandfather, Hugo Sievers, was born. Hugo and his wife Irene (Schneckloth) moved a half mile west onto the farm that is now known as Sievers Family Farms around 1920. Bryan Sievers’ father, Glenn Sievers, was born in the house on this farm in 1928 and still lives there with his wife, and Bryan’s mother, Norma (Koester) Sievers. Bryan and Lisa Sievers are proud of their heritage from several different European countries. The common bond that has helped keep their agricultural roots intact, for many generations, is their strong ties to Iowa, the land, livestock, and farming. Lisa Goecke Sievers’ great great grandfather Henry Goecke was born in Hagenbeck, Germany and came to America shortly after he turned 21 years old. 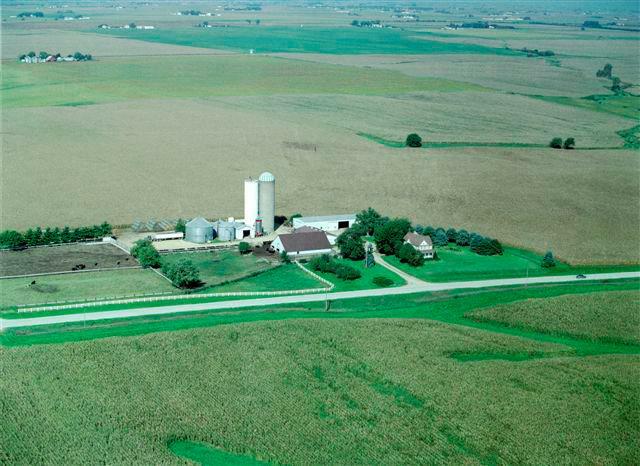 He purchased land in the LaMoile – State Center, Iowa area. In 1868 he married Wilhelmina Thomas, who came from Braunschweig, Germany. 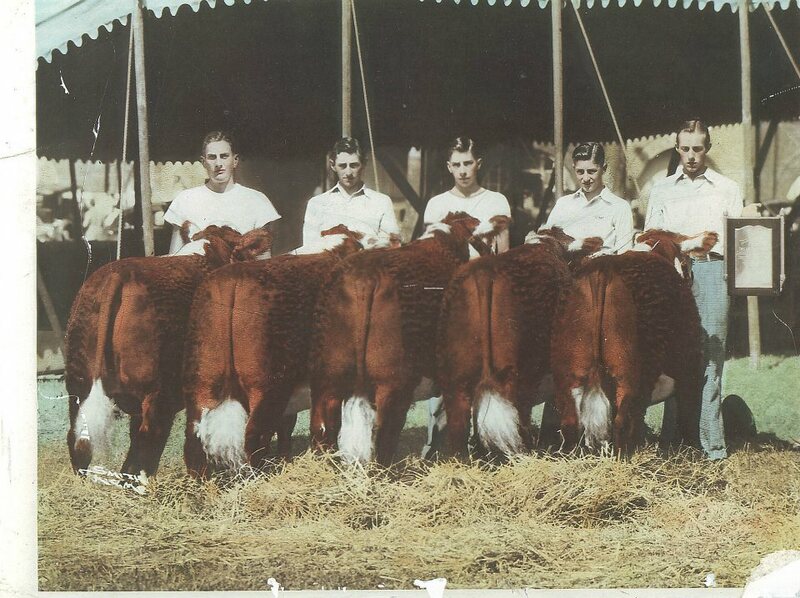 In 1938 the Goecke brothers pen of five Hereford steers won the Iowa State Fair. To this day, the Goecke family continues to farm and raise livestock in the LaMoille – State Center area.